The Journal of Physical Science (ISSN 1675-3402) is a refereed journal published by Penerbit Universiti Sains Malaysia (USM Press). It is abstracted by Chemical Abstracts Service and indexed in Scopus, ProQuest, Ebsco, Directory of Open Access Journals (DOAJ), ASEAN Citation Index (ACI), Directory of Open Access Scholarly Resources (ROAD), Information Matrix for the Analysis of Journals, MyCite and Genamics JournalSeek. The aim of the journal is to disseminate latest scientific ideas and findings in the field of physical sciences among scientists in Malaysia and international regions. This journal is devoted to the publication of articles dealing with research works in Chemistry, Physics and Engineering. Review articles will also be considered. Manuscripts must be of scientific value and will be submitted to independent referees for review. Contributions must be written in English and must not have been published elsewhere. Journal of Physical Science is a multiple award-winning academic journal. 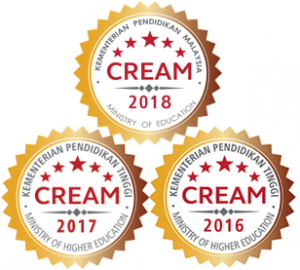 Accolades received by the journal in the recent years include being a recipient of the Ministry of Education’s CREAM Awards for three consecutive years (2016, 2017 and 2018), and Best Article for Science, Technology and Medicine category in the Malaysian Scholarly Publishing Council-Ministry of Higher Education (MAPIM-KPT) Awards 2016. 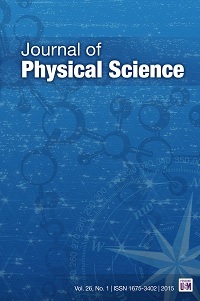 Beginning 2016, Journal of Physical Science publishes three issues annually: April, August and November (previously, the journal published biannually).